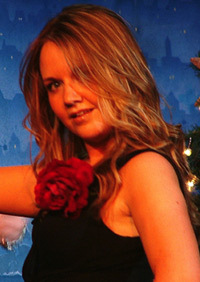 Christmas 2005 saw Wonderland’s first fun filled cabaret in association with Bewleys Café Theatre. True to cabaret’s historical spirit the show not only had singers, as many cabarets do today, but also comedy Emcees, dancers, short dramatic scenes, instrumental solos, original comedy sketches, magic acts, stand up comedians, clowning and a raffle. The show completely sold out and a percentage of the proceedings were donated to local charities. The show featured many Dublin performers together with four children from the Wonderland stage school, who made their professional debut. The Wonderland Christmas Cabaret was directed by Alice Coghlan, produced and choreographed by Sarajane Bloomer with musical direction from Jenni Woolfson and photography by Steve Wilson.